Penetrates to Stratum Corneum, Peeling is complete in 0-3 days. Very superficial peels can usually be done as often as once a week. This type of “peel”, generally produces little to no peeling and is ideal for anyone that can’t afford any downtime. 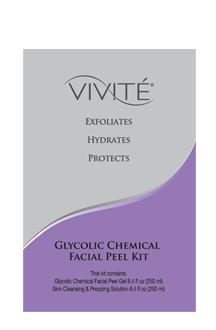 The mildest of peels that corrects minor problems such as rough or dry skin and sun damage. A gentle, three step exfoliation rehy- drates below the skin’s surface to stimulate collagen production. This treatment begins with (dermaplaneing) gently scraping the skin with a surgical blade to exfoliate skin and remove hair. 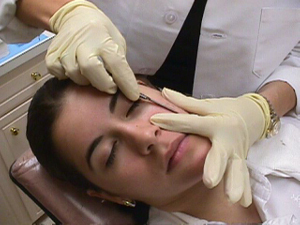 After dermaplaning the skin, a light AHA peel is applied. This is a very superficial peel with little to no peeling. Ideal for most skin types, not recommended for skin with active acne. This gentle TCA solution is formulated primarily for ethnic skin, and other extremely sensitive skin types. Sensi Peel® will strengthen and brighten the skin while helping to treat sun damage and other forms of hyperpigmentation (skin discoloration). This multi-faceted treatment also provides anti-inflammatory, anti-acne and antibacterial action, making it an excellent choice for helping calm rosacea, as redness and inflammation can subside substantially after treatment. This peel creates very mild peeling. 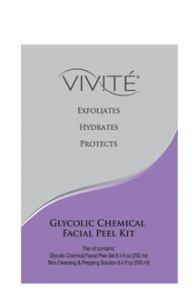 This non-invasive very superficial chemical peel utilizes a novel approach to chemical peeling with a newer generation of alpha-hydroxy acids (mandelic acid and malic acid) in combination with phytic acid and commonly used peeling agents (salicylic acid and resorcinol) to maximize skin rejuvenating effects with low irritation. Paradise Valley Skin Klinic offers a wide variety of peels at all depths. This entry was posted on Wednesday, September 22nd, 2010 at 2:22 pm	and is filed under Acne, Chemical Peels. You can follow any responses to this entry through the RSS 2.0 feed. You can leave a response, or trackback from your own site. stuff prior to and you are simply extremely fantastic. take care of to stay it smart. I can not wait to read far more from you.